Céline totes may not be new to the market, but they are all over the Paris, London, New York and Milan streets – looking classic, chic, and effortless. They may come with a daunting price tag, but they’re surely another investment item that you can proudly add to your list. The Celine “mini luggage” bag is a durable and spacious leather bag that works perfectly any time of the day, any season of the year. And, the swoon worthy bags come in a multitude of colors to accompany your arm in style: brown, black, lilac, blue, pink, camel, two-tone, ponyhair and plenty more. Phoebe Philo sure knows the secret sauce to creating “It“-bags. Back when she was at Chloé we had the Paddington craze and years later when she returned to the fashion stage and started to design for Celine she did it all over again and made the “Luggage” tote the most sought-after bag in the whole wide fashion world. It consequently sells out, one bag at a time. The bag shows to us is refined craftsmanship and structural silhouette but not the iconic logo printed material or fussy ornaments. Its designer Phoebe Philo should not be neglected, who revives the traditional Céline by her creation and innovation. Featuring one zipper closure as a decoration in the front, this quintessential and classic bag was shaped as a shopping tote for day to night use, large bag capacity and sturdy leather further increases its versatility to a certain degree. This stylish Luggage Tote comes in five sizes and a range of combinations and colors: suede and calf, crocodile and calf, or just good old calf skin. Céline bags are not available online so be careful when buying it. There are billion fakes all over the Internet. oh my god, I love the black and beige one! absoltely in love.. Wish I could afford this bag! A girl could dream right:)?! 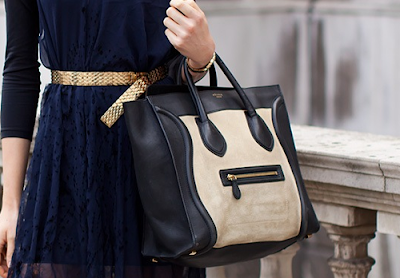 I adore the Celine luggage collection- especially the coloblock neutral Mini! I love these bags ! Great blog ! 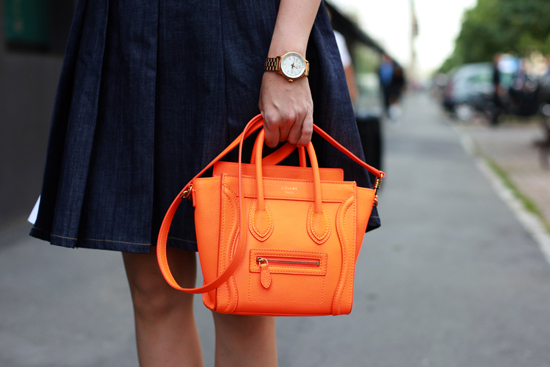 I love the color blocked ones, I own a very similar bag and it's really an investment. Thanks you for such a good post! They are gorgeous bags Irina! Love the ones with 2 tones or different colors ... whatever it's called hehe. Thanks for sharing dear! That bag is fabulous. I've been wanting one forever! Great post. The bags are very importants in our looks! That bag is to die for! Love it! there are so many knockoffs of this, but the original is sooo much better! 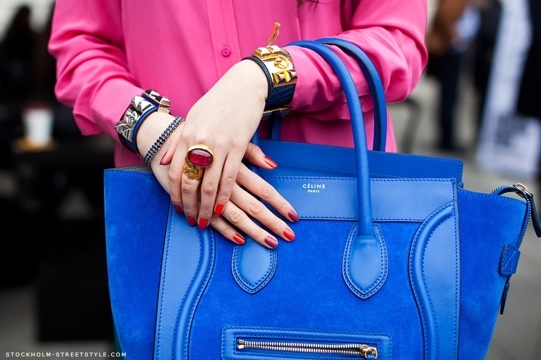 I love the celine bag!! very nice pictures! 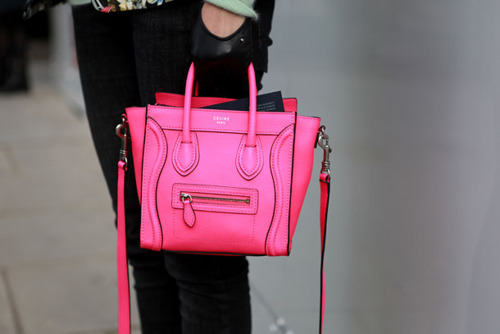 I'm totally in love with this Celine bag! Win your favorite pair of Lety sneakers!! 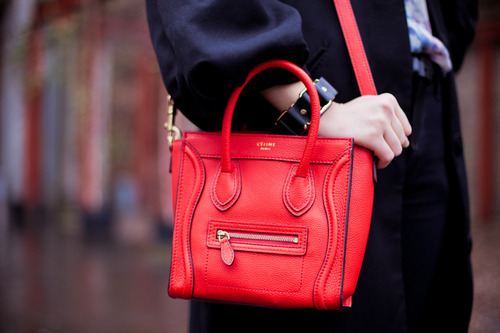 I'm so utterly in love with the Celine bag!!! wish I could afford one!!!!! thanks for your comment Irina! Would you like to follow each other? Lemme know..
Oh I've been coveting one for some time now! Celine is definitely not a strange brand in the market. 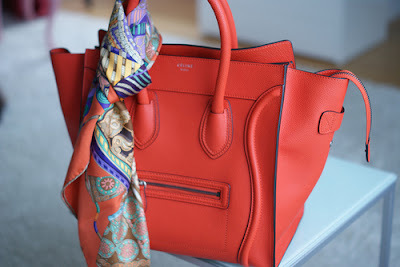 Love Celine handbags in the world market. desperately want a black nano! My gosh! Céline bags are incredibly amazing! I love this back in red!!! 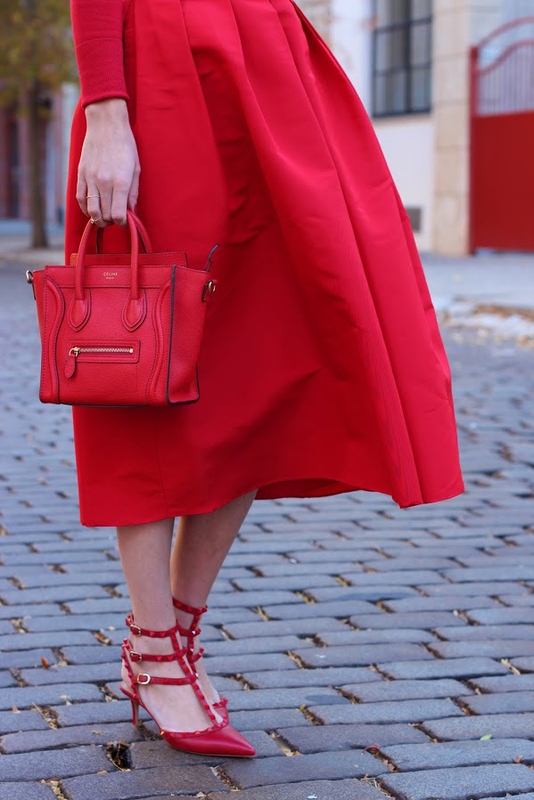 Great outfit :) Would you like us to foollow each other via Bloglovin and GFC? It's just until recently I want to get this bag. What holds me is that I'm afraid it's gonna out of trend soon since people have been using it for a few years already.. thanks for telling me it's not too late to purchase one! Hi im desperately trying to find a black mini luggage one to buy online, any ideas?? If not where in London can I get one? Do you know how much there are too? ?